Perfect companions to any of the others in the Azure Collections, our Azure Cushion earrings will capture your fancy and never let go. Absolutely delightful and mesmerizing, you’ll never want to take them off! Larimar, freshwater pearl, trillion-cut topaz, and sterling silver. 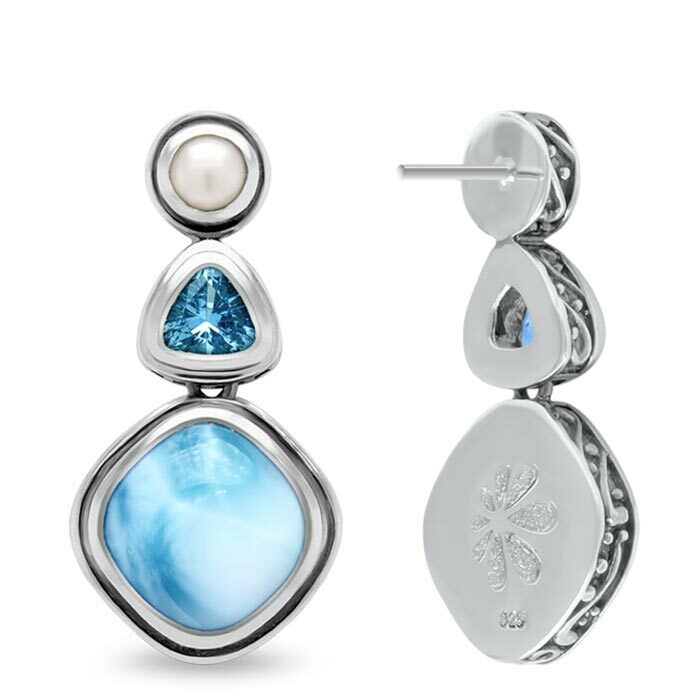 Product Details: Two 11mm larimar gemstones with blue topaz, freshwater pearl, and oxidized sterling silver.